Do you remember where you were, what you were doing when you first heard or saw the news that day? I don’t think there is a single soul in America who doesn’t, one who is old enough to remember anyway. I was standing in my mother’s kitchen getting ready to go with her to a doctors appointment as we heard the news of the first plane crashing into the Twin Towers. And before we wrapped our heads around that, the second one collapsed. As I think about it, the feelings I had that day come back to the forefront of my mind and my heart. Shock, disbelief, horror, sadness, what do we do now? I also remember staring in horror at the television when the space shuttle exploded with school teacher Christa MCauliffe aboard. Although just a wee tot at the time I saw how devastated our country was and still is over President Kennedy’s assassination. This time though we felt violated and hated as well. As a nation, a people, a country -we are hated because we are Americans. America, the same country that allows everyone to make their home here, and rushes to everyone’s aid. Just doesn’t seem right does it? What does our Lord tell us to do about those who hate us? So in all my “wisdom” this means love the sinner not the sin. Pray for and witness to the people who do wrong to us because our God is a loving God who wants no one to perish. Do we fight the evil infiltrating our country? Heck yea! Have you read some of the battles in the Bible? But we need to be fighting according to God’s plan. Always according to his plan. How do we do this? Pray for our leaders. Daily, continually, without ceasing, pray for our country and it’s leaders. 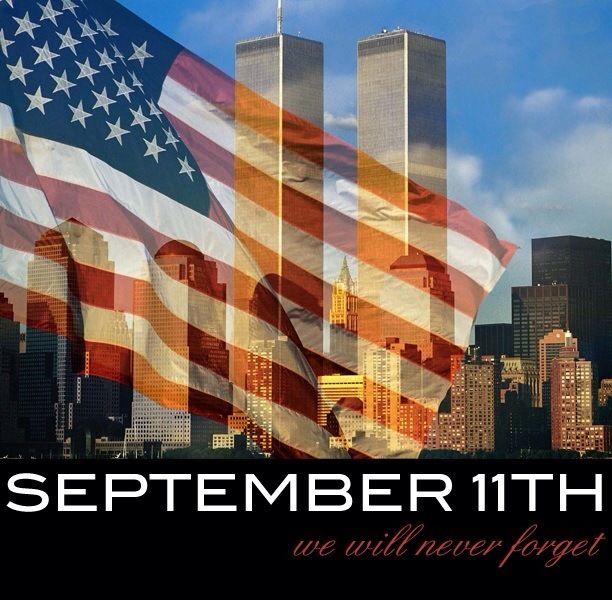 To those who lost family, friends, loved ones one this tragic day, God bless you and we applaud your loved ones bravery.